It has been some time since I’ve made any jewelry. I tend to go in cycles. I sew. I needlefelt. Then I switch to paper. I stamp. I collage. Then I take the paper to the sewing machine. I take some paint. I give it a try. I put it away. Here are a couple of pieces that I made some time ago. Probably around the time I learned zentangle. I zentangled desert blooms. 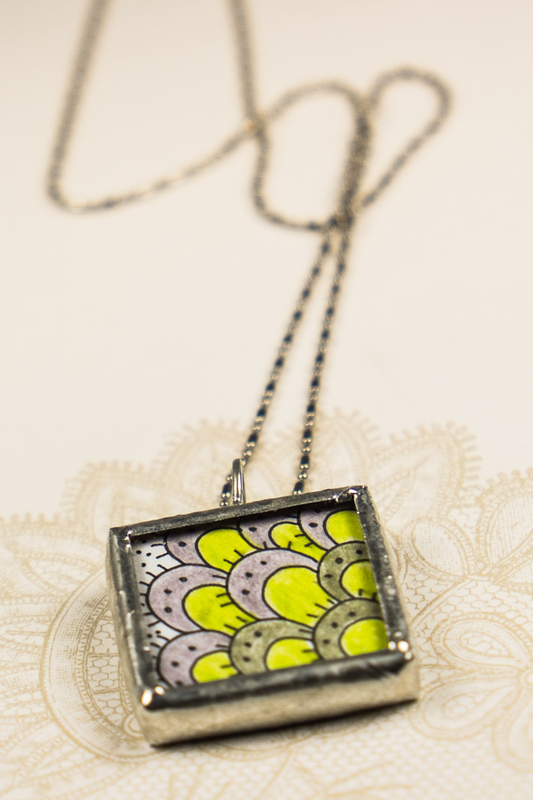 And made some soldered jewelry with the tiny zentangle squares.